Like every other episode of Tum Kon Piya, this one too was very entertaining! 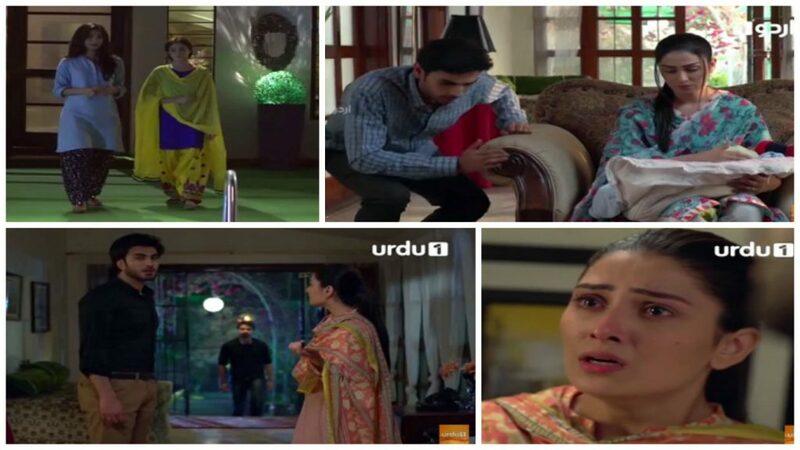 The latest development in the story was somewhat predictable but tonight’s episode of Tum Kon Piya proved that it isn’t always about what is going to happen next, sometimes what you truly look forward to is watching how it is done. The way a certain important development in the story is executed on screen determines how much impact it would have on the viewers. I have to confess that like all the other major developments in Tum Kon Piya, this one too was convincing and satisfying. All the characters of Tum Kon Piya have a story to tell; they are very well-etched-out and all their actions and reactions make perfect sense. Elma continued to be the good girl who would hold on to her husband no matter what. Ultimately, she could take no more and she went into a coma. Ayeza Khan’s acting in the scene when Zarbab tells her he was going to leave her and her expressions before she fainted were brilliant. This scene was shot superbly too, the rainstorm and the lightening was very symbolic and went well with the overall mood of this scene. Zarbab fell for all the lies that were fed to him but only after he was in a position to leave Elma and no longer needed favors from Ramish. Ali Abbas is another actor who did complete justice to his character. He has made the viewers hate and at the same time understand his character. Having a mother like Sharafat Begum shaped Zarbab’s personality in a way that he was always busy pleasing others because he could only live in the house peacefully if he satisfied everyone’s needs. Having no say in the house made him a coward and when Elma came in his life he wasn’t very willing to take a stand for her. Zarbab was used by everyone around him therefore when he finally found someone who was easy to exploit, he made the most of the situation. Zarbab’s situation also goes to show that sometimes some people never learn to love because they have never been loved unconditionally. Having said that I would hate to say Elma ending up with Zarbab because although the reasons for his selfishness are easy to understand but he isn’t the kind of person who can stay committed for too long. Also, he has always been shown as someone with shocking double standards. Even in tonight’s episode he thought it was perfectly fine for him to stay at his girlfriend’s house but Elma could not be with her cousin. Javeria got exactly what she wanted today. She planned all her moves and this was the perfect ending to this love story! Few weeks back I was questioning why Javeria was still after Zarbab but when she asked him to leave Elma, it was quite obvious that she wanted to take revenge from him. Kiran Tabeir is also a very gifted actress who gave her best performance throughout. She was the perfect choice for playing this role. Sunbal and Ramish’s track is the only one which is still being stretched. In the previous episode the viewers were given the impression that the marriage was final but the preview of the next episode suggested something entirely different. Imran Abbas is extremely likeable as Ramish but I must say that he has not given this character his best, he could have done better. The only continuity blooper in tonight’s episode was Ramish turning up at Elma’s house in a car different from the one he was driving when he got the call from Arif. Also, the main door of Elma’s house is always wide open. Apart from these small glitches which could easily be ignored this episode just like always was very well put together. 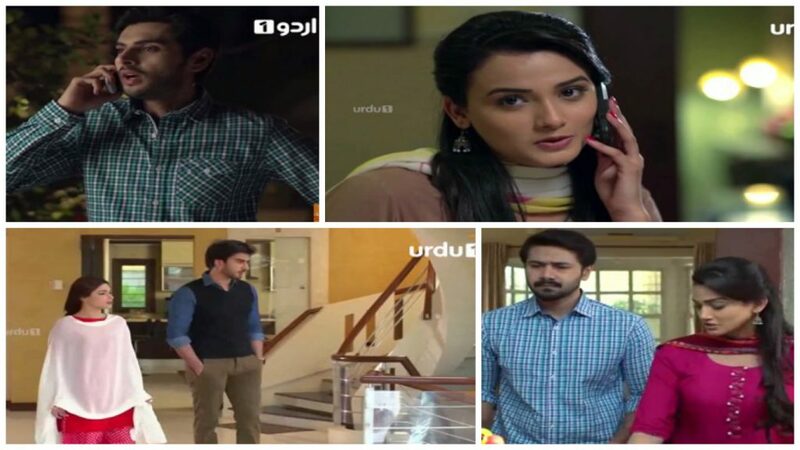 How many of you watched this latest episode of Tum Kon Piya? Don’t forget to share your thoughts about it.